This week, the WordPress photo challenge theme is Unlikely. 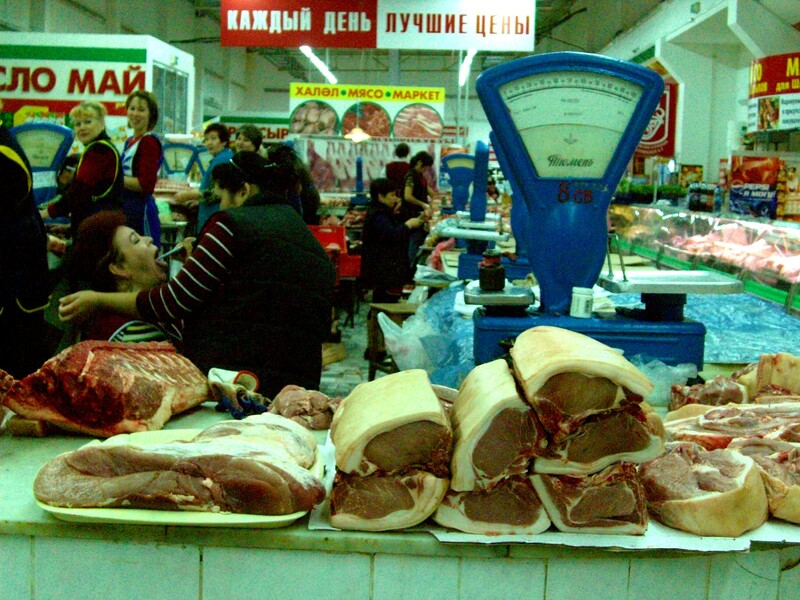 Unlikely, like this snapshot of daily life in the food market of Kazan, in Tatarstan (Russia). Many of us enjoy visiting and taking pictures of markets, I know, and whilst it can be interesting to make colourful shots, it is far more challenging to create pictures with a narrative. This week, the WordPress photo challenge theme is Smile. If you travel, and are friendly to people, it is not difficult to receive a lot of heart-warming smiles. More effortful is to get a visual memory of them: I am not so good at asking people for a photo. If I do have a photo of them, it’s often because the encounter was so emotionally rewarding that it was worth pushing my limits to get the shot. I have rarely seen friendlier people than the Uzbeks. And many have these golden teeth which makes their smiles not only uplifting, but also delightfully exotic. 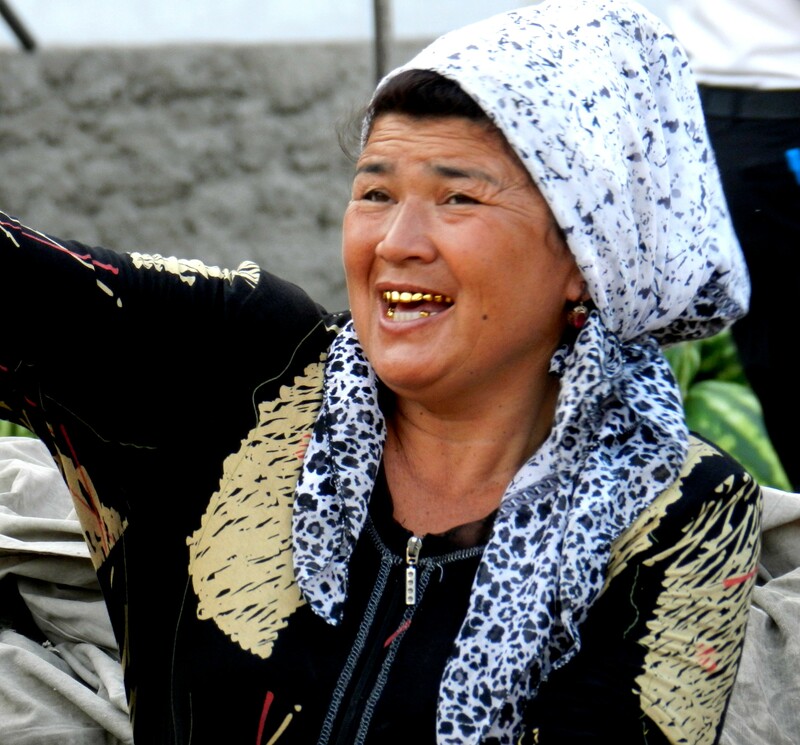 This woman, who was selling cucurbits of all sorts in the Fergana market, was clearly enjoying her day. 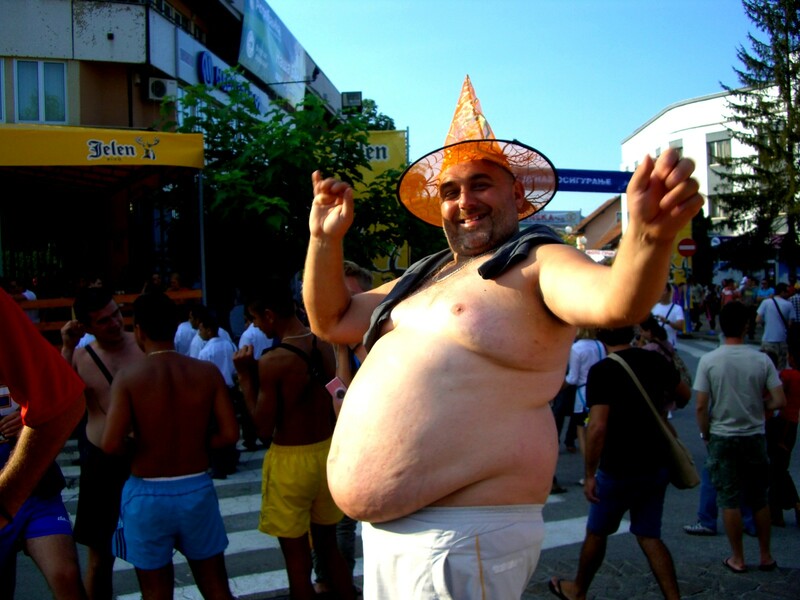 Guča’s festival of Balkan trumpet madness is the opportunity to go crazy, and I love walking around and watching the happy and feverish people in the streets of the village. There is quite some post-war testosteron in this festival, but a lot of Balkan-style human conviviality too. That year, it was the third or fourth time that I bumped into this guy, and that we’d shared a laugh, so I thought I should take a visual memory of him. 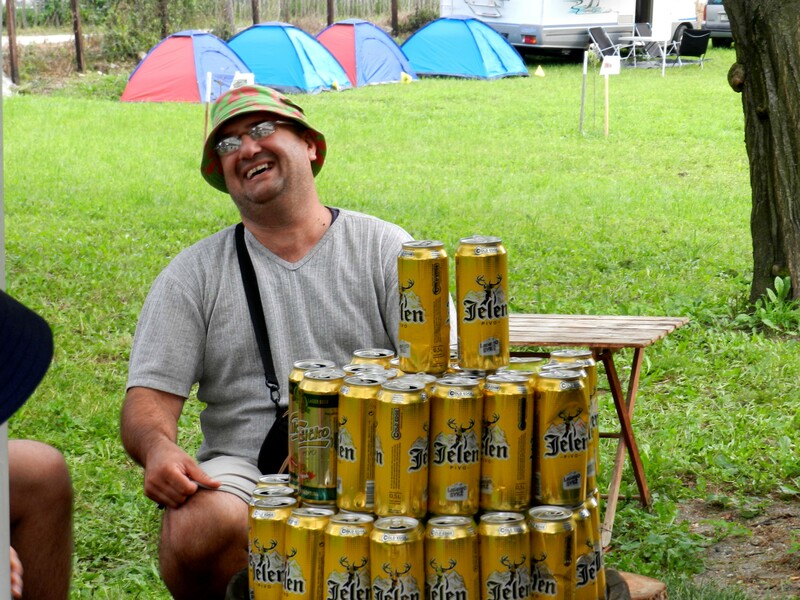 Guča festival is such a cheerful affair that I have a lot of photographic smiles; and although I thought this man with orange witch hat (and beer belly, perhaps worth noting) was the one for this post, I couldn’t resist but add this picture of a man who was building a pyramid of local beer cans, because his I’m-having-such-a-great-time smile is so communicative. I’ve already used this pic in this post about Guca. I loved this dude who was in my campsite in 2014. I hesitated before choosing this picture. 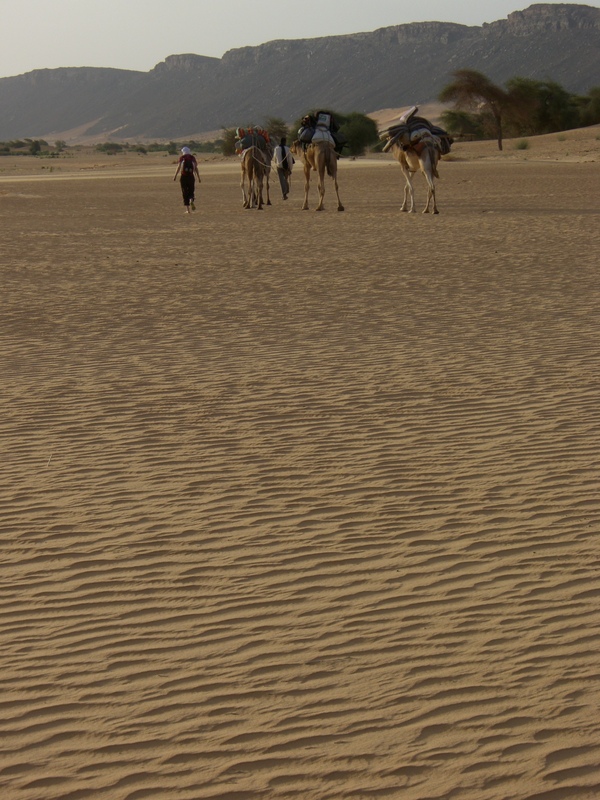 It’s one of the best and worst travel memories of my life. We were in Western China, in Central Asia, and wanted to enter in contact with the autochthonous population. A local Chinese travel agency arranged a driver and a “guide”; this turned into a disturbing, if insightful, experience. 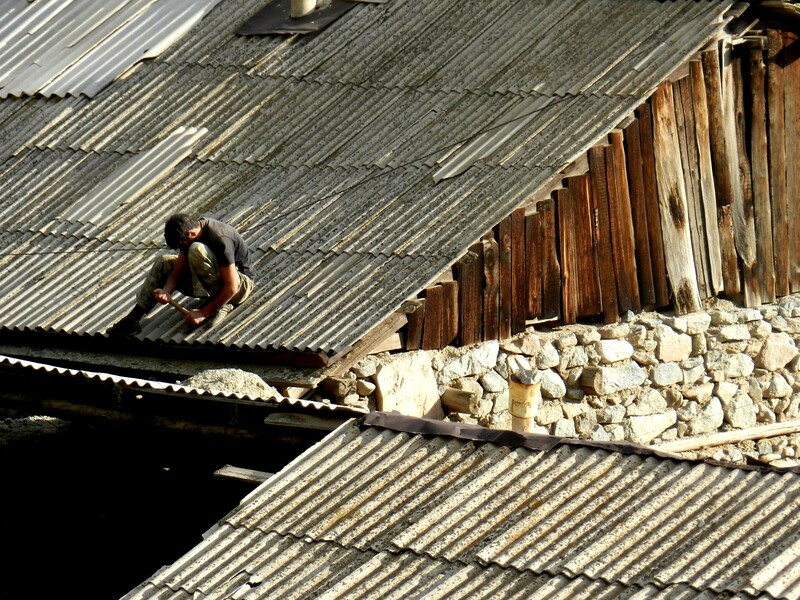 Our “guide” knew nothing about the local Kazakh, Muslim people. He hardly knew where to find them, and to say the least, he didn’t have much interest or respect for them. I have been the witness of racism, discrimination, and cultural arrogance too often in my life, and this has been one of those many occurrences. Since our “guide” was feeling uncomfortable amongst this ethnic population, behaving contemptuously and clearly unable to make contact, we decided to take a step ahead. When we came close to a house, we left the car, asked the “guide” to stay in, and approached a family, with a cordial smile. And what happened was such a humanly rewarding experience. This family had no reason to meet us, they were busy with their lives. But they welcomed us, invited us in their small shelter, offered us a drink and a snack, and shared a moment with us. A friend came by and played a song with a guitar-style string instrument. We sang a French song in return. A kid was playing outside with the baby goats. 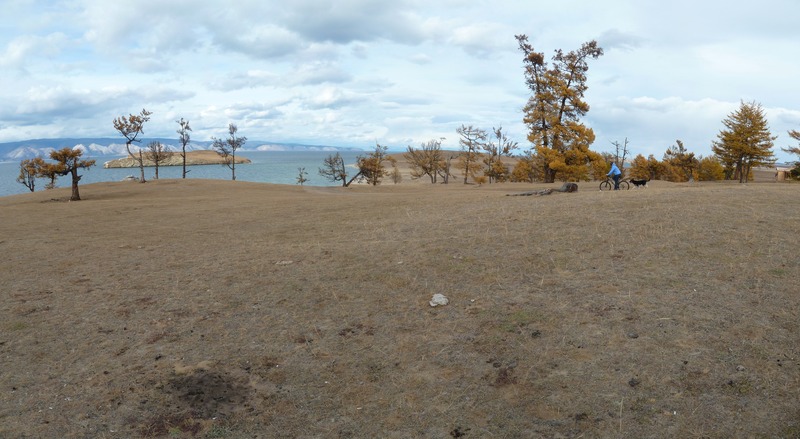 They were a displaced family: originally nomads, who had been settled, then converted to semi-nomads by the Chinese authorities who now found it best for them to herd in winter and farm in summer. This was their summer home. We had to use our narrow-minded Chinese “guide” as an interpret, who was feeling awkward in this Kazakh home, which made the situation a bit uneasy, but we made the best of it. I didn’t write a blog at the time, so was not paying attention to details as I am now, and I regret that I don’t remember their names nor where exactly we found them. We had a lovely time, and it was hard to leave, knowing we’d probably never see these people ever again. 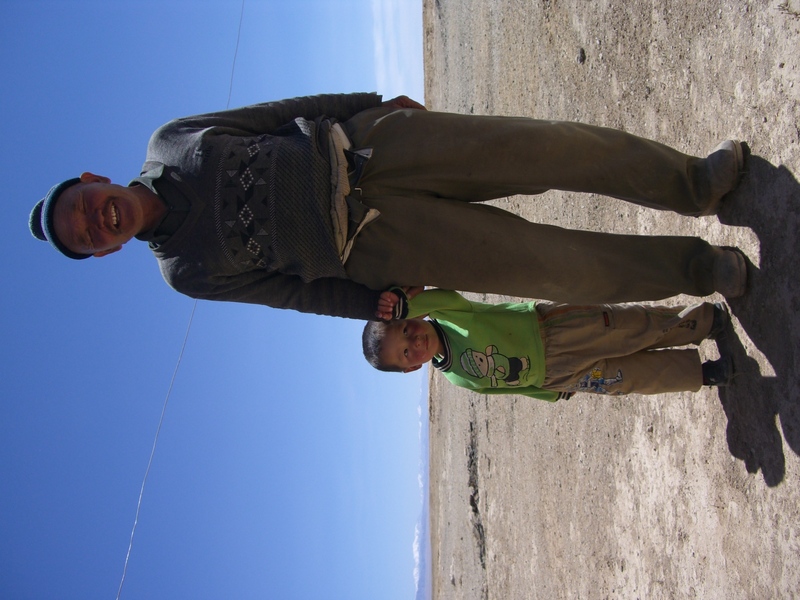 The picture I took of the father and son was spontaneous and authentic; and if you ever see this family during your travels, please, hoping that they may remember us too, give them a very warm hug from me. 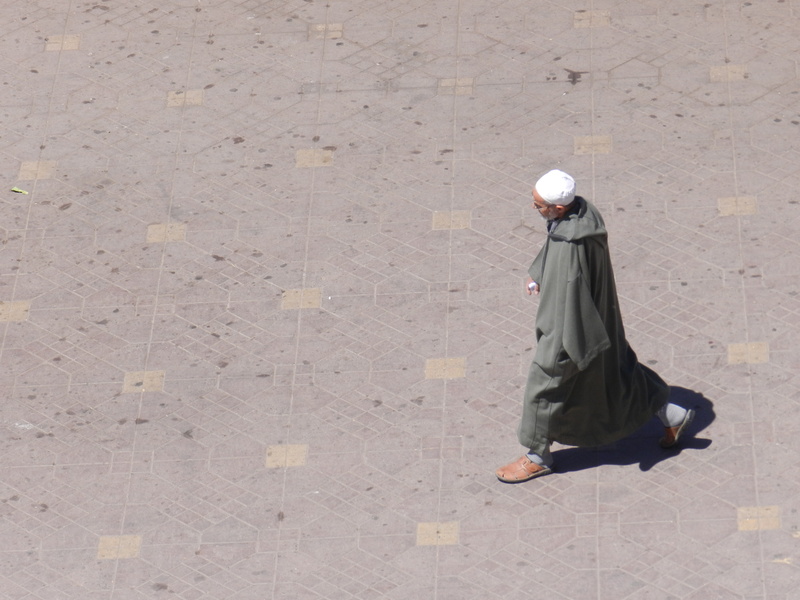 This week, WordPress challenges us to tell a story with photos. 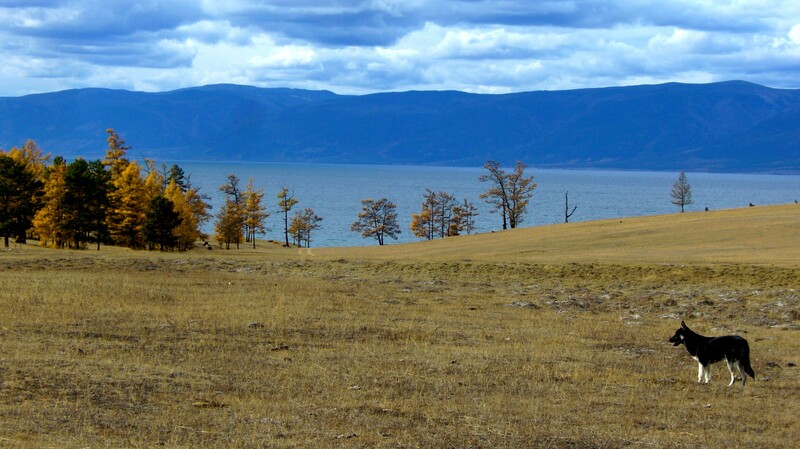 In October 2010, I visited Baikal Lake for the first time, and was overwhelmed by its beauty. 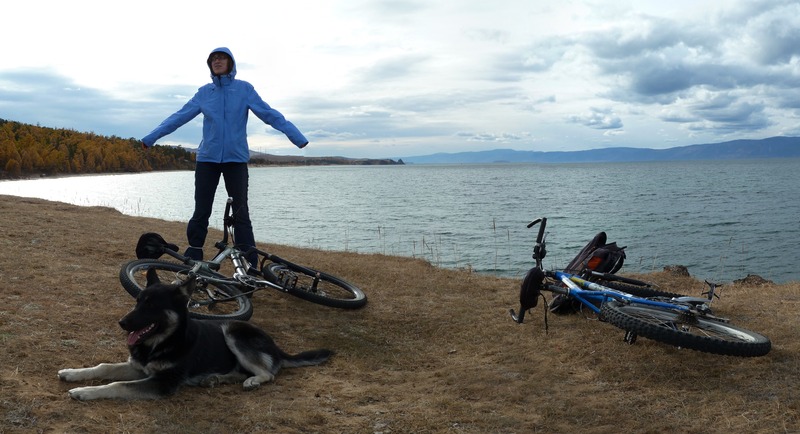 Settled on Olkhon Island, we rented bicycles to go around and explore. 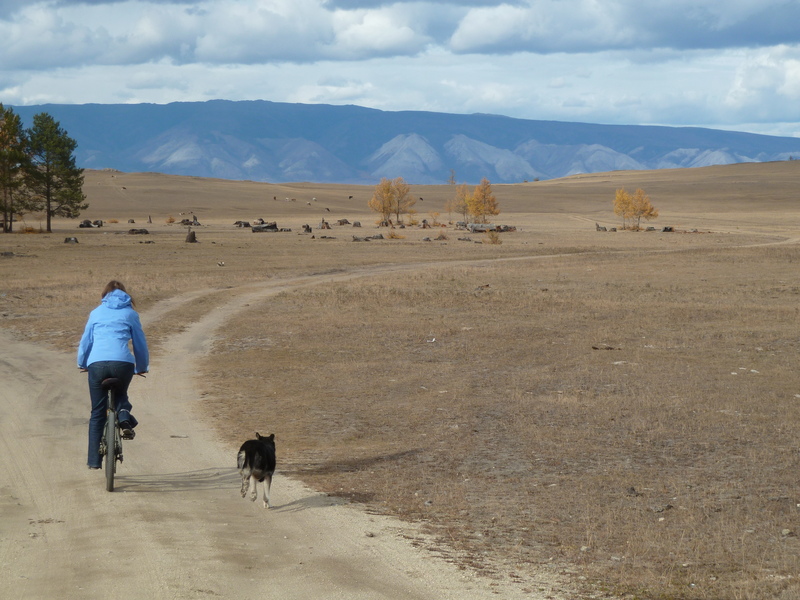 Just as we left the little village of Khuzhir, we noticed that a dog was following us. I am always very uneasy with dogs; they terrify me. But it didn’t take long before I realised our dog wasn’t trying to attack me, but rather to protect us. At the beginning on the road, whenever the occasional car was passing us, the dog was barking at it until it disappeared out of sight, as if it was a real danger for us. When we left the road, the dog was frolicking in the nature around us. Every time we stopped, it also stopped and was sitting or lying quietly. We decided to give it a name, and it became Vlad. I liked to imagine what was going on in this little head; and whether Vlad was picturing he was our protector, keeping us safe from harm and brigands on our long Central Asian voyage. 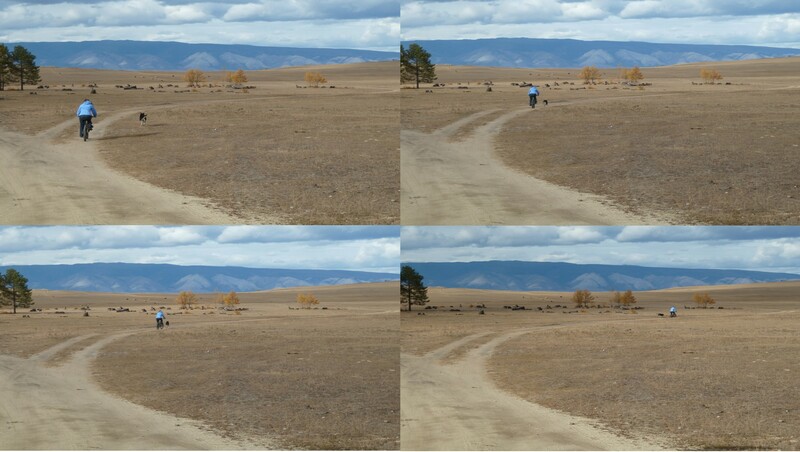 After a few hours of a wonderful ramble in the Siberian landscapes, we finally got back to the village. I was wondering what would happen with Vlad. Would it beg for food as a tip? This week, the WordPress photo challenge theme is Masterpiece. 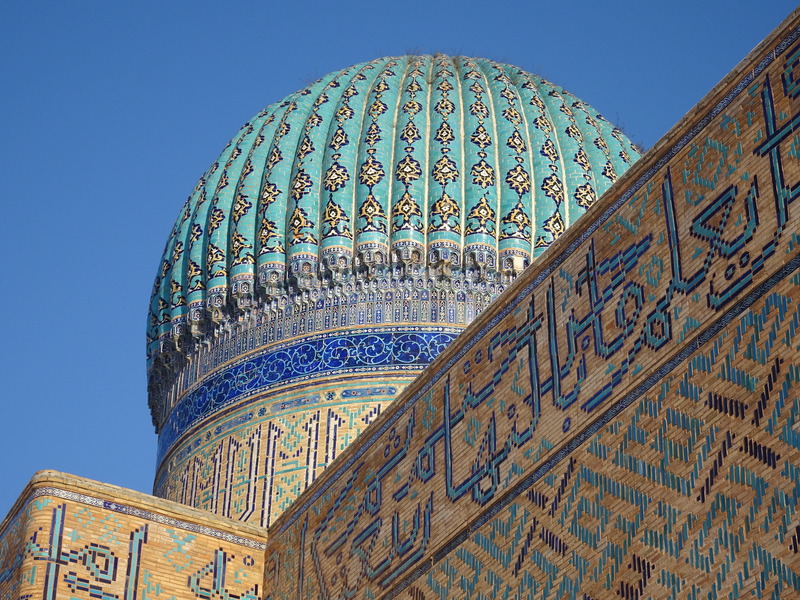 Nothing equals the delicate beauty of a Central Asian madrasa. Those religious buildings, that served as schools and had a strong influence in the 11th to 14th centuries, are fascinating attractions. They fill the tourists with wonder, with their deep blue colours that blend into the sky. 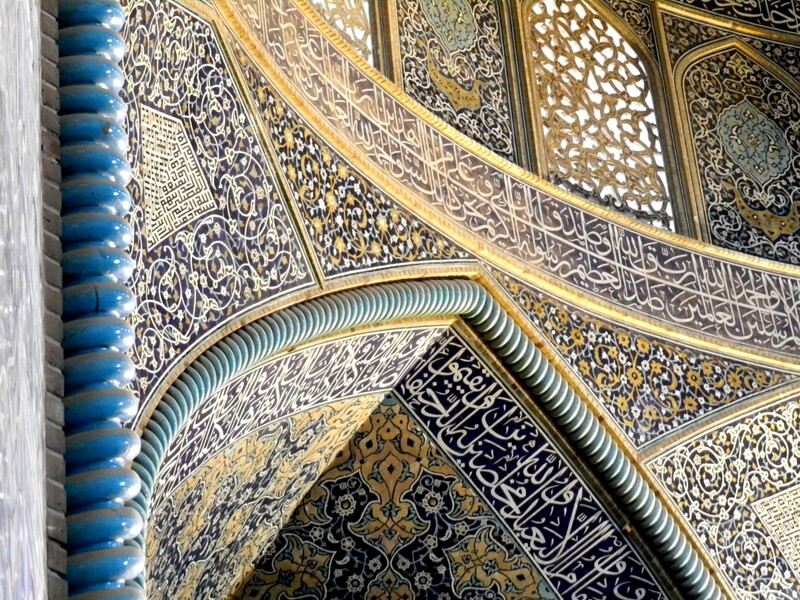 They inspire the photographers, with their meticulous geometrical patterns. They are worthy of all of our admiration, with their stunning overall beauty as much as their unrivalled attention to detail. 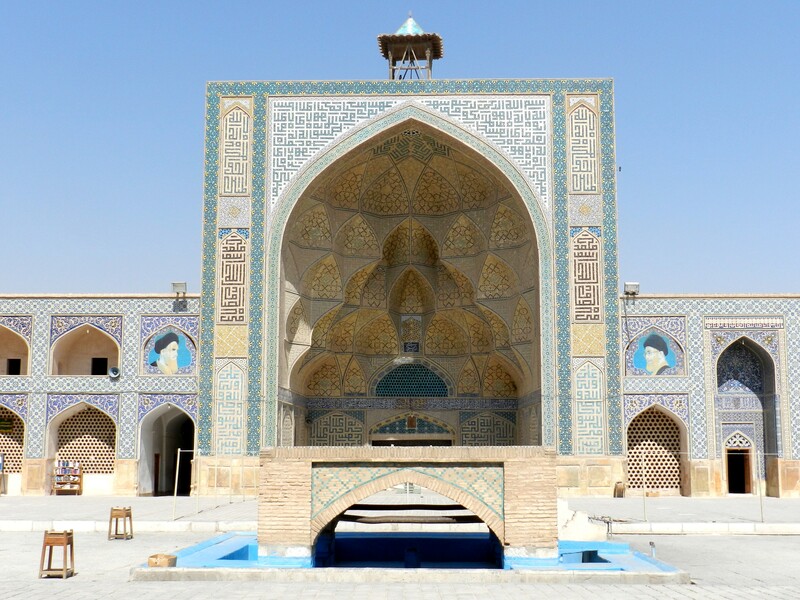 Let me take you on a little voyage in mosques and madrasas; from Iran, where it all started, to the awe-inspiring madrasas of Central Asia. 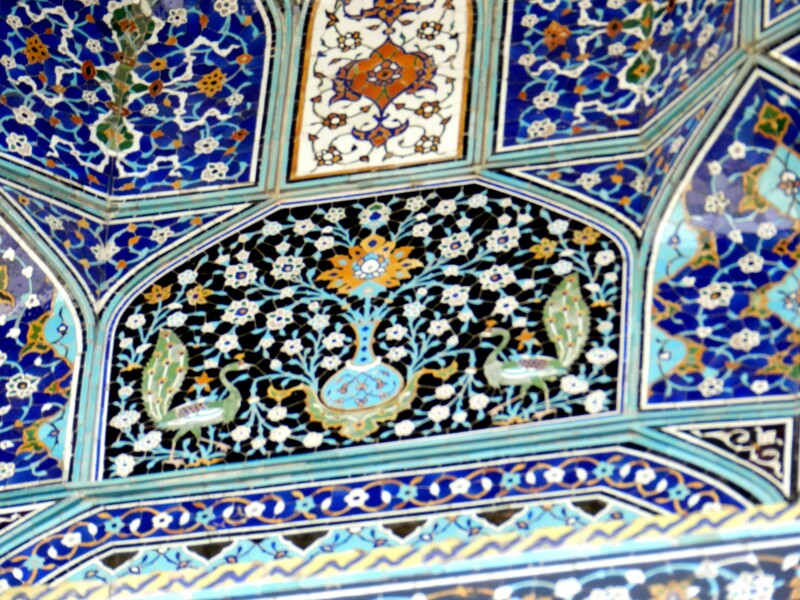 A detail in Esfahan. 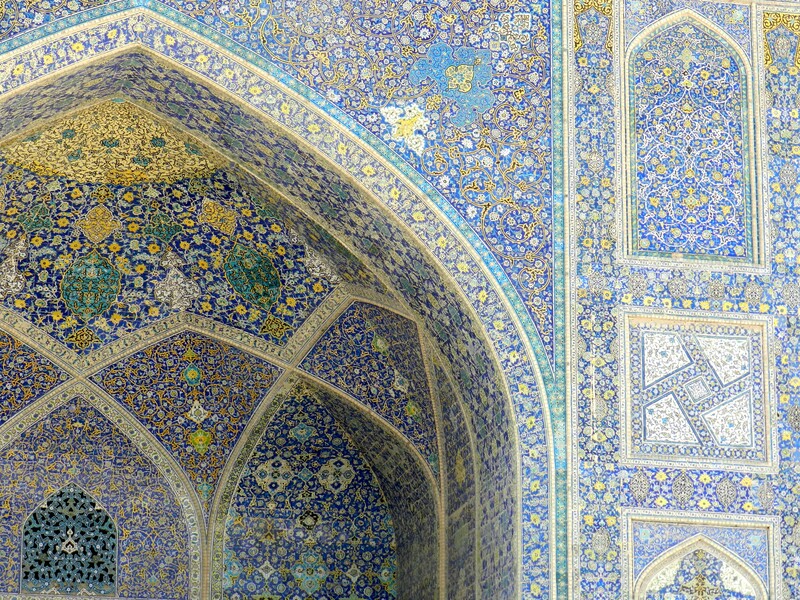 Animals are not normally represented in mosques, but in Iran and Central Asia they are, which is a rarity. You will often see birds, or tigers, and a few more animals. 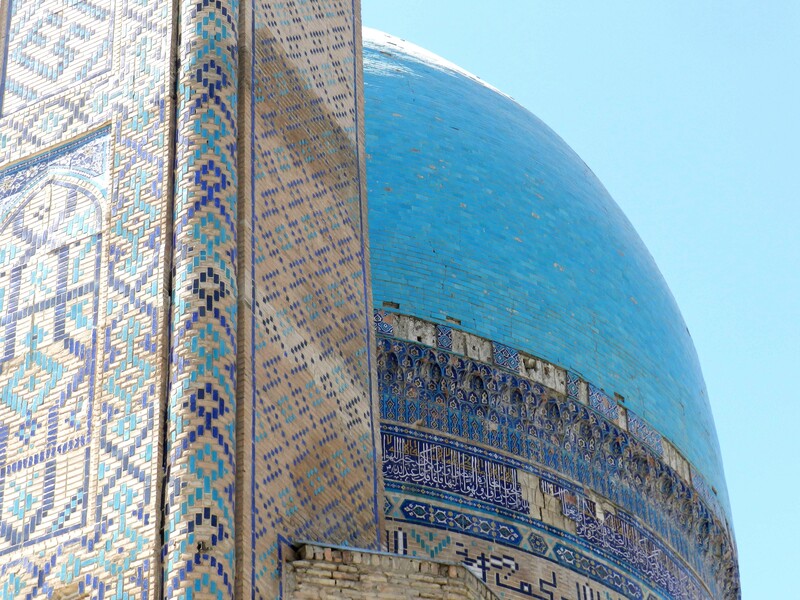 Samarkand, Uzbekistan. 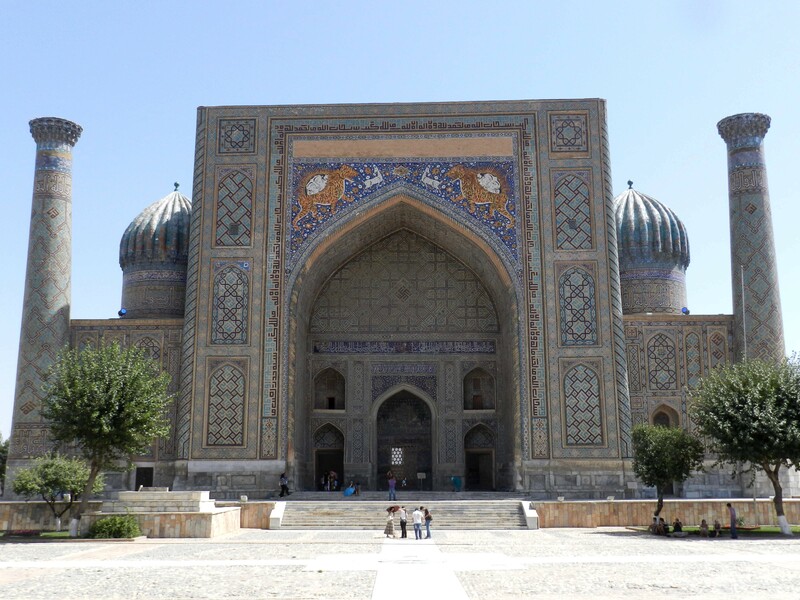 The iwan is the name given to a big gate wall at the entrance of a madrasa. Chakhrisabz, Uzbekistan. 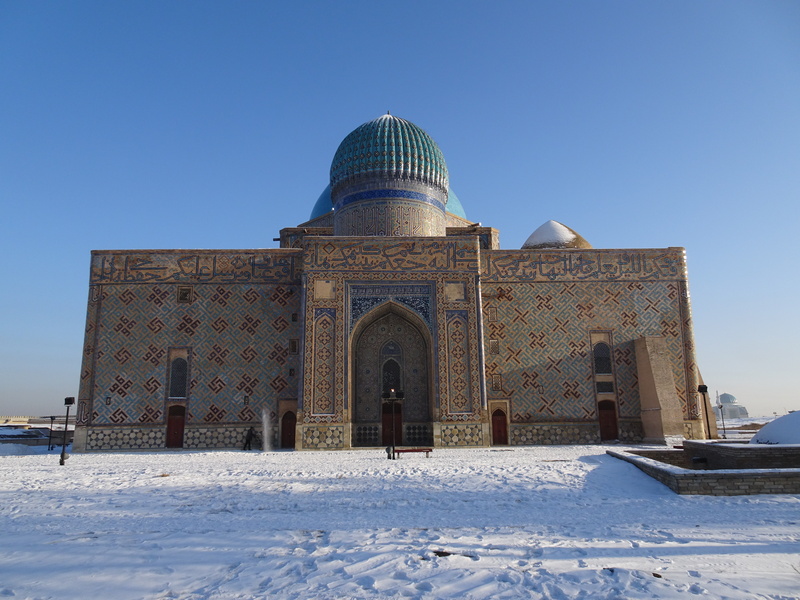 Although the birth place of Timur / Tamerlan, it is not on the typical tourist track, so less money has been raised to renovate it and a lot of the painted tiles are missing. This week, the WordPress photo challenge theme is A Face in the Crowd. I can totally relate to the author sharing how afraid she is of asking people for portraits, and how she resorted to taking pictures of faceless portraits captured as they are, just one in the crowd. My dual love of people watching and of photography means that I often enjoy sitting somewhere and catching a glimpse of people as they go about their daily lives, sometimes making visual memories when the setting pleases my eye. Rather than a face in the crowd though, introvert that I am, I like to isolate people and show them alone in their environment, as if they were not just busy on their activities, but also absorbed in their thoughts. A fisherman chooses his spot on the frozen sea, in Vladivostok, Russia. Iran is the land of kebab; particularly if people are going to bother and go out to a restaurant, then it’s a festive meal and kebab is on the menu. Not the most exciting perspective for a non meat eater like me. 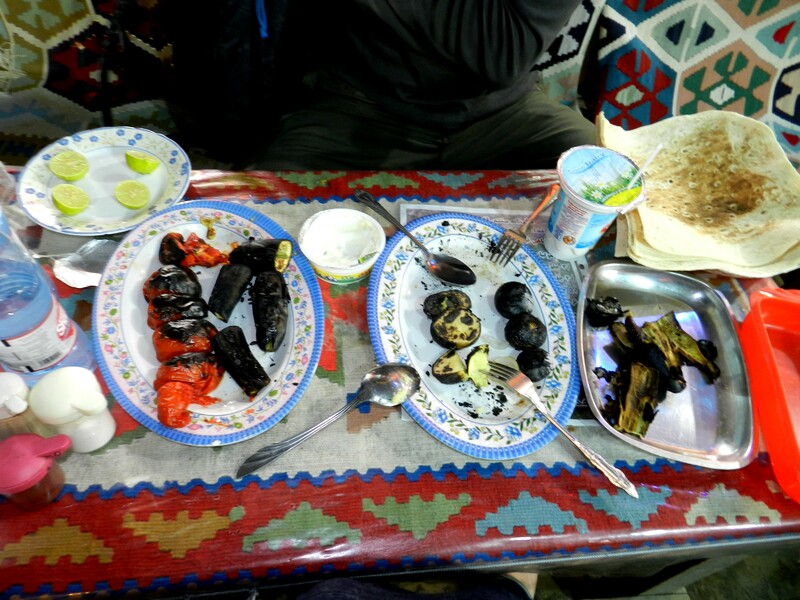 During my trip in Iran, tired to eat rice and bread after a while, I decided to try and make them grill vegetables. 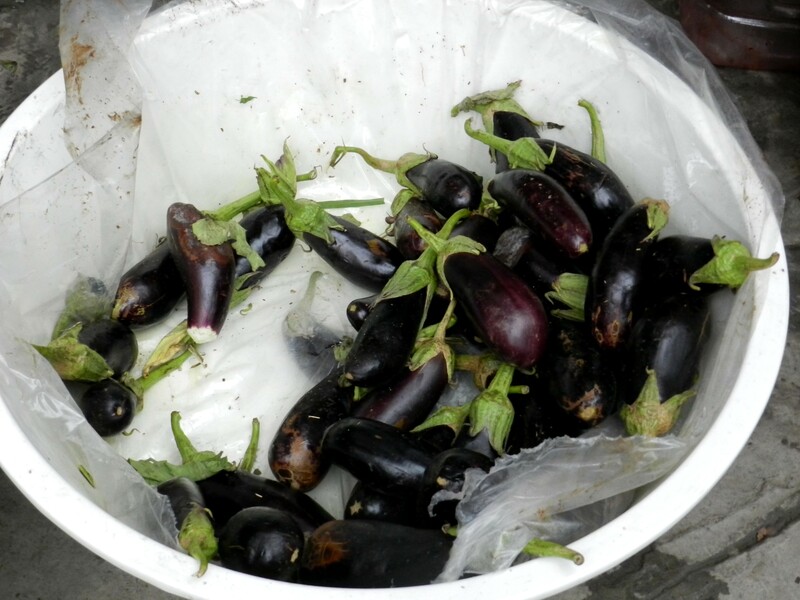 I bought a few onions, aubergines and courgettes on a food market and brought them to a street food restaurant. The men were puzzled at first. It had never occurred to any of them that they actually could grill vegetables, it seems. But they gave it a go; and I enjoyed a fantastic dinner of grilled veggies with lime, garlic yoghurt, and Iran’s fantastic flatbread. Seeing aubergines on a food market prompted me: why should I stay on a rice and bread diet, when there are so lovely veggies around? This week, Ailsa‘s photo challenge theme was Cook. This week, Ailsa‘s photo challenge theme is Four. 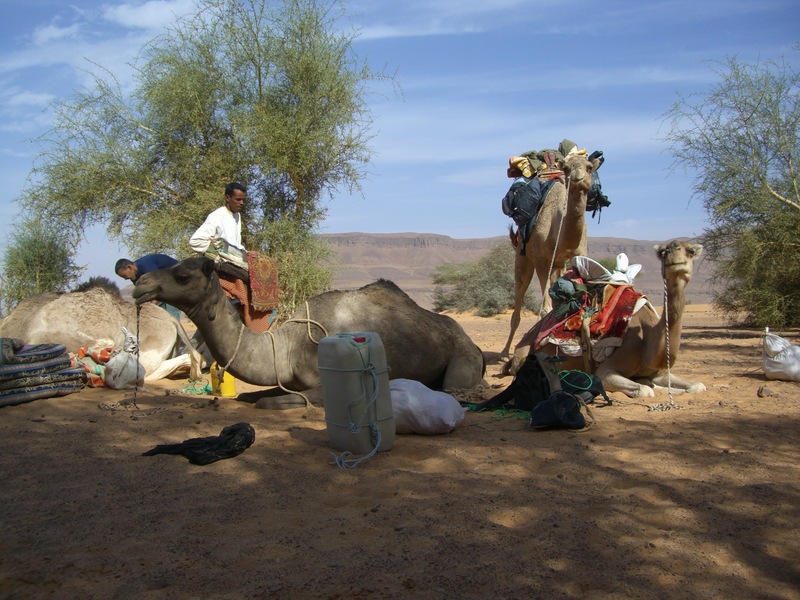 Four days walking in the Adrar Plateau of Mauritania, with four lovely camels. That’s a fabulous trip I did in 2007. 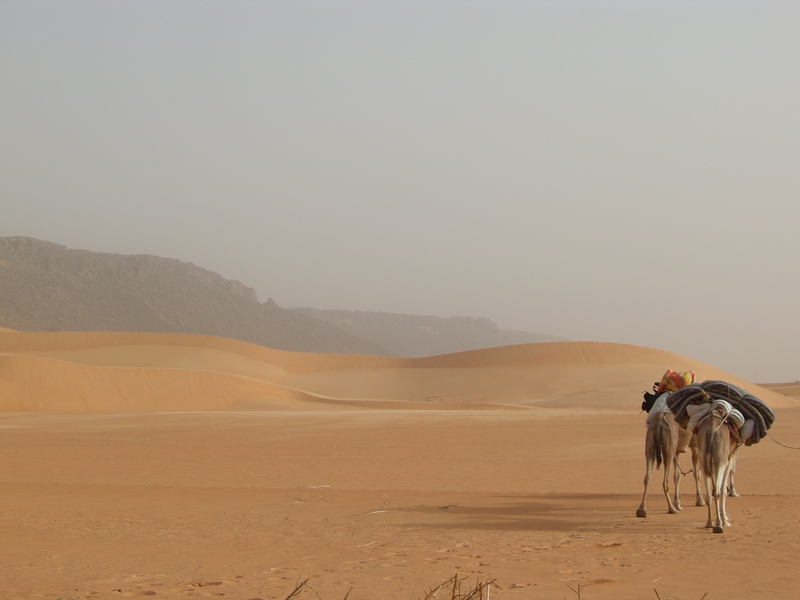 Click on this link to a previous post to see a portrait of each of my four camels and the nicknames I gave them; below are also some of my visual memories of this trip. 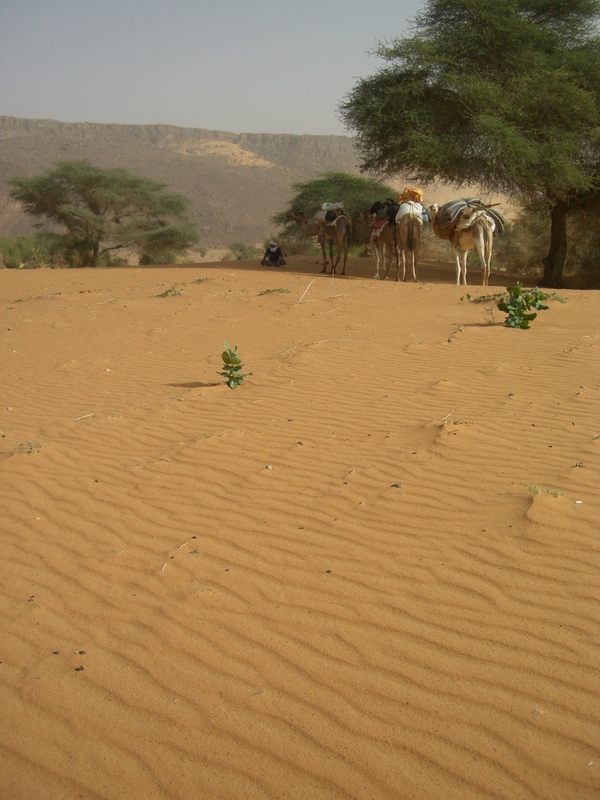 Interested in more Mauritania stories? 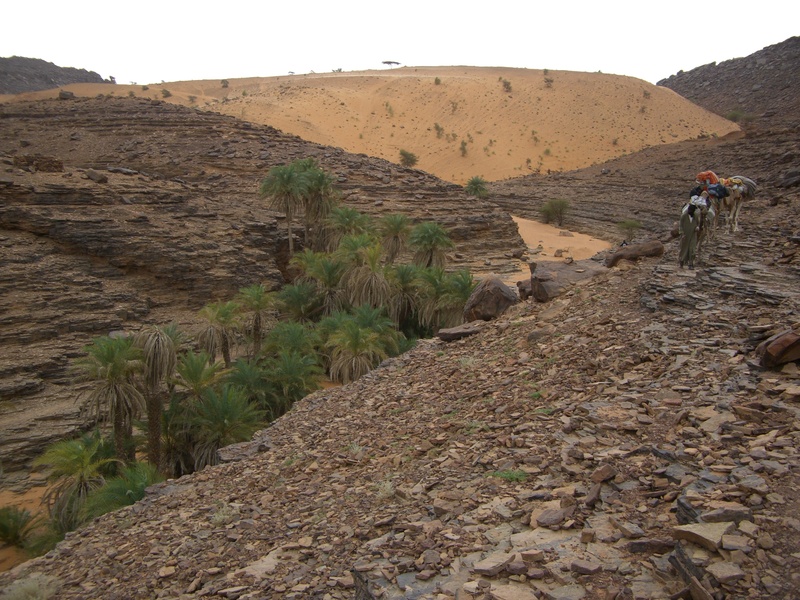 Click on my Mauritania tag, or read about the incredible journey on board the iron-ore train in Mauritania!